Former Apple employees who worked on Siri believe the virtual assistant is struggling to catch up with its rivals because of a lack of ambitious goals stemming from the company's overarching concern with user privacy, a report by The Wall Street Journal revealed on Thursday. Unlike Amazon and Google, which leverage and retain user data off-device to inform and enhance queries put to their respective smart speakers, Apple is said to work within a culture that prioritizes user privacy, "making it difficult to personalize and improve" Siri, according to ex-Apple employees. The project has also reportedly suffered from the departures of key members as a result, some of whom went to competitors. About a year after [Steve] Jobs’s death, Apple hired Bill Stasior, an Amazon search executive, to oversee Siri. Mr. Stasior studied artificial intelligence at Massachusetts Institute of Technology, but his expertise was in search rather than speech or language. This led some members of the Siri team to believe he didn't fully appreciate the product's original vision: to expand beyond the iPhone to third-party apps. Former staff reportedly offered this loss as the main reason behind the departure of Siri co-founders Adam Cheyer and Dag Kittlaus, who left to found Viv, which was acquired by Samsung and is now working closely with Samsung's Bixby assistant team. Apple finally started opening up Siri to third-party developers last year, but many former Siri engineers believe it didn't come soon enough, while developers still remain unhappy at the lack of openness behind the scenes. The limited scope of Siri's commands disappointed many developers, said Brian Roemmele, a developer who attended the announcement. "People went from being happy and excited to sitting in workshops and realizing, 'I can’t use it,'" he said. "Some went back to that attitude: Siri's always going to be dumb." According to the article, the first inkling Apple got that it was falling behind its rivals came when members of the Siri team arrived at an Amazon event in 2014. Apple's three-year-old product had gained popularity for its ability to handle calendar appointments, text messaging and a few other simple tasks based on voice commands. Siri had no real competitors. The outlook quickly changed as the team watched Amazon's video showing off a small, voice-controlled speaker that could play music, order products and search the web. It demonstrated Amazon had figured out how to isolate voices from background noise and have a digital assistant respond to requests from a distance — abilities Siri hadn't yet mastered. 'People at Apple's anxiety level went up a notch,' said a former member of Apple's Siri team who was there that night. WSJ notes that Siri's performance still doesn't match Amazon's Echo or Google Home because of the collective weight of Apple's self-imposed limitations. For example, in tests across 5,000 different questions, Siri answered accurately 62 percent of the time, lagging the roughly 90 percent accuracy rate of Google Assistant and Amazon's Alexa, according to Stone Temple, a digital marketing firm. It remains to be seen whether Apple feels it needs to compete on these specific AI metrics, or if it sees a future for Siri in other areas, such as linguistics – Siri works across 21 language, while Alexa and Google Assistant only speak English and German. 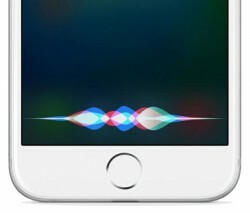 During this week's Worldwide Developers Conference, Apple announced a number of forthcoming enhancements to Siri with iOS 11, including live language translation, contextual query comprehension, and an ability to learn a user's interests. It also unveiled its own Siri-powered premium smart speaker, HomePod, but emphasized sound quality and music enjoyment over the general intelligence of its virtual assistant, which some might say speaks volumes as to Apple's future ambitions in the AI space. I don't care. Privacy > everything. In the age where you air out your laundry on Facebook, Twitter, Snapchat, and Instagram, you are clearly in the minority. Privacy is great but if AI is the direction everyone is going (it is), Apple HAS to keep up. YOU might post a bunch of crap on FB, IG, and SC. I don't post anything on any except SC. And only things that I wouldn't mind the world seeing. Oh, and of course locations services OFF. Maybe I'm the minority, but at least I'm not that idiot posting that he's going on vacation on FB and getting his empty home burglarized. I think Apple needs to catch up, but keeping privacy at the forefront of their innovation is key. That's why a lot of people choose Apple products over the inferior Android products aka tracking devices. I'm probably in the minority here, but I don't mind giving up my metadata for a better experience. Minority around here maybe, but the average user out there really doesn't care about privacy half as much as people around here like to believe. If they really did care, Facebook and company wouldn't be so popular. I'm also sorry that if I use Siri I don't get "suggestions" from "trusted partners" for movies I might like based on something I read on rotten tomatoes. I'm sure these vultures are struggling now that they can't peep through my windows. As for suggestions that Apple hasn't found the right balance of accessibility vs. privacy, that's ludicrous. Being "kind of private" is like being "kind of pregnant" or having "secure encryption" with a back door. Either you are private, or you are not. If there is one thing Apple should be strongly commended and praised for, it's this. It's pretty much the only big company right now that is not trying to enhance it's technology at the expense of privacy. It's almost heroic. Even though they might only be doing it because they are making their money on hardware and not on your personal data unlike its competitors, it's something everyone should encourage. Sounds like the best idea would be to develop on two tracks, with a toggle to switch between privacy and effectively no privacy. If you want privacy, you don't get as rich an experience, if you want a richer experience, you don't get privacy. Perhaps by enabling users to choose they'll learn how to fix the privacy-only method by examining the no-privacy method. Disable AI, then. Differential privacy is a marketing term made to make you feel better about Apple's brand of data mining. The fact is, Apple has all the same data Google has on you and you have no privacy. Apple just pinky swears they won't sell your data to customers. Don't mistake that for privacy. They can change tack at any time and your naivete will be for naught.